Playtime is Over October 3rd! Cult of Chucky Comes to Home Video Just in Time for Halloween. After the initial announcement of the 7th film in the CHILD’S PLAY franchise, CULT OF CHUCKY, production photos and little bits of information about the film have slowly been coming out. Today, Universal Pictures has finally released the red band trailer, giving everyone their first look at the film. One thing of note is the decidedly darker tone this sequel takes, as well as the newer look of Chucky. According to the filmmakers, this is the goriest entry in the franchise, and that was not the intial plan, it just ended up happening that way. Chucky returns with a vengeance when the film is released on Blu-Ray, Digital, and VOD on October 3rd, 2017! 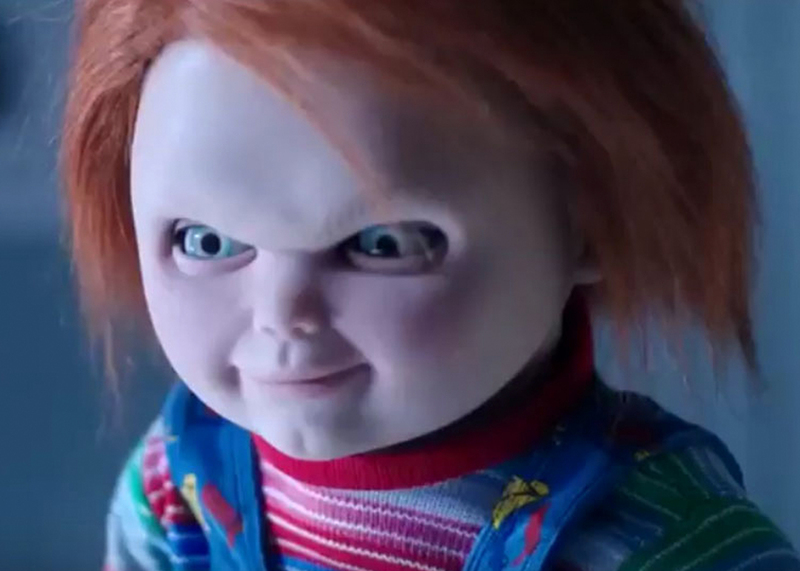 CULT OF CHUCKY is written and directed by Don Mancini and stars Jennifer Tilly, Fiona Dourif, Alex Vincent, Grace Lynn Kung, Michael Therriault, Zak Santiago, Summer H. Howell, and, of course, Brad Dourif as the voice of Chucky.